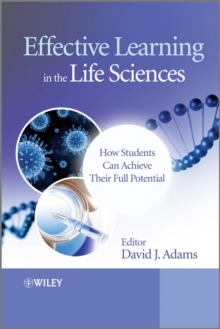 Effective Learning in the Life Sciences is intended to help ensure that each student achieves his or her true potential by learning how to solve problems creatively in laboratory, field or other workplace setting. Each chapter describes state of the art approaches to learning and teaching and will include case studies, worked examples and a section that lists additional online and other resources. All of the chapters are written from the perspective both of students and academics and emphasize and embrace effective scientific method throughout. This title also draws on experience from a major project conducted by the Centre for Bioscience, with a wide range of collaborators, designed to identify and implement creative teaching in bioscience laboratories and field settings.